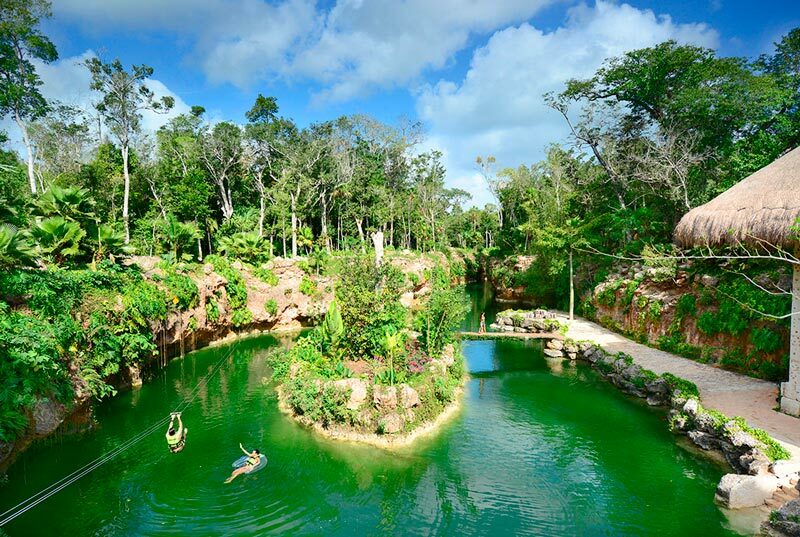 Top attractions for couples in Cancun and Riviera Maya. 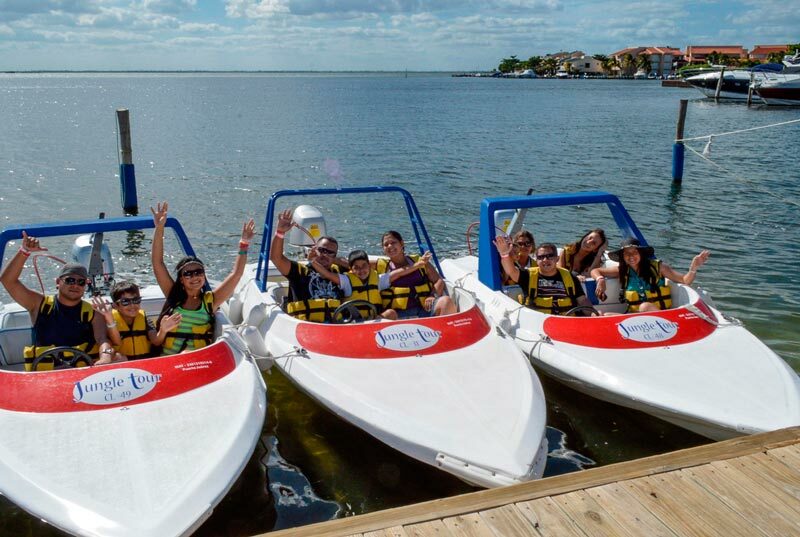 Enjoy romantic dinners, water activities and many options for your vacations. 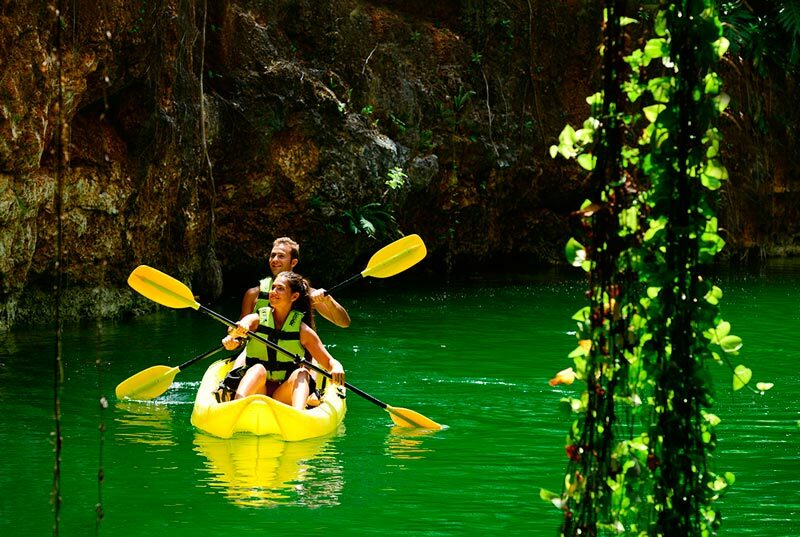 We offer the best tour, discounts and guarantees for your unforgettable holiday. 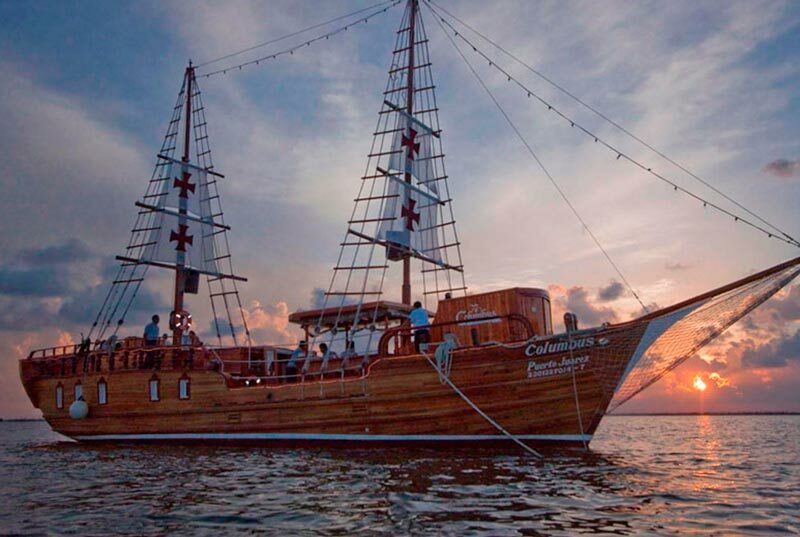 The Columbus Lobster Dinner Cruise, is one of a kind romance tour. 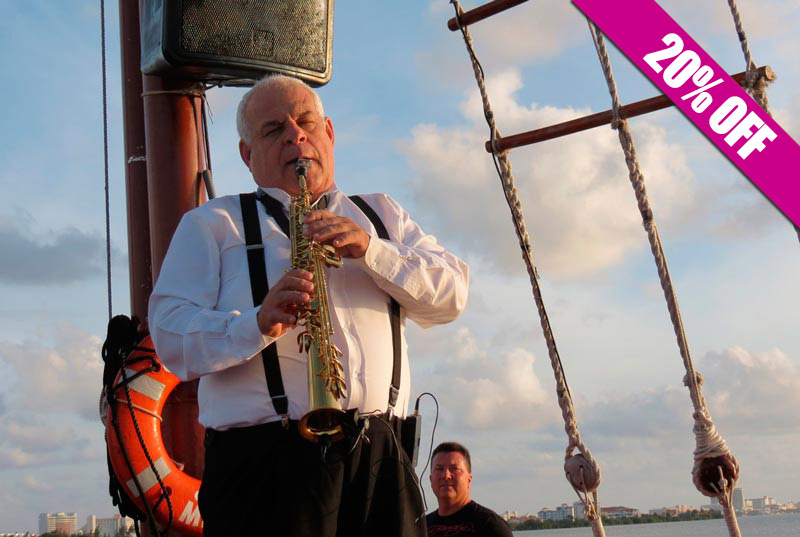 Sail on a Spanish Galleon and enjoy breathtaking views, live saxophone music, fine wine, open bar and a delicious lobster or surf 'n turf dinner. 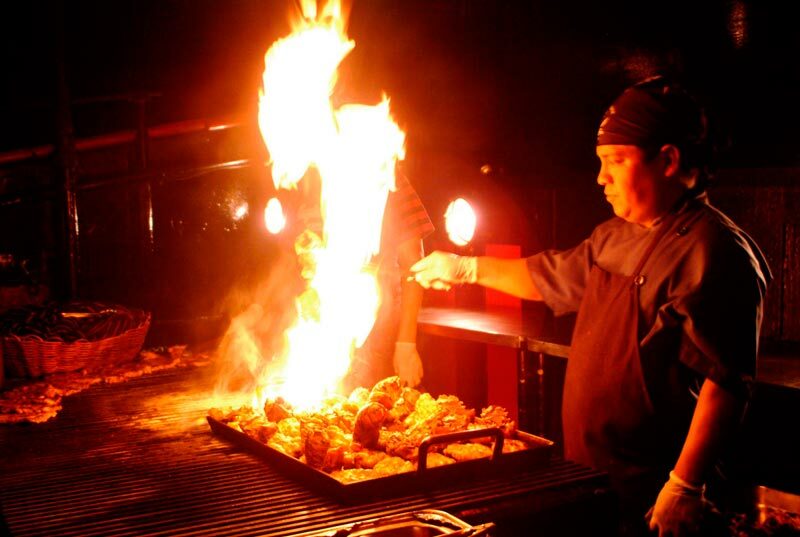 Put some fire into your relationship with this romantic tour. Adults only activity. Book your Colombus Lobster Dinner Cruise now! Romantic Dinner, menu to choose : Surf 'n Turf (Rib Eye & Lobster), Lobster Menu or Veggie Lovers (Vegetarian menu). Main dishes include: baked potatoes, vegetables and dessert. The price does not include the dock fee, which costs $6.00 USD. This charge is per person and must be paid at the time of registration. Transport is not include (optional at extra cost). Bring your photo camera, cash, light blanket or sweater and comfortable shoes. Minimum age: 14 years old. Enjoy 2 family friendly activities in this half day tour. 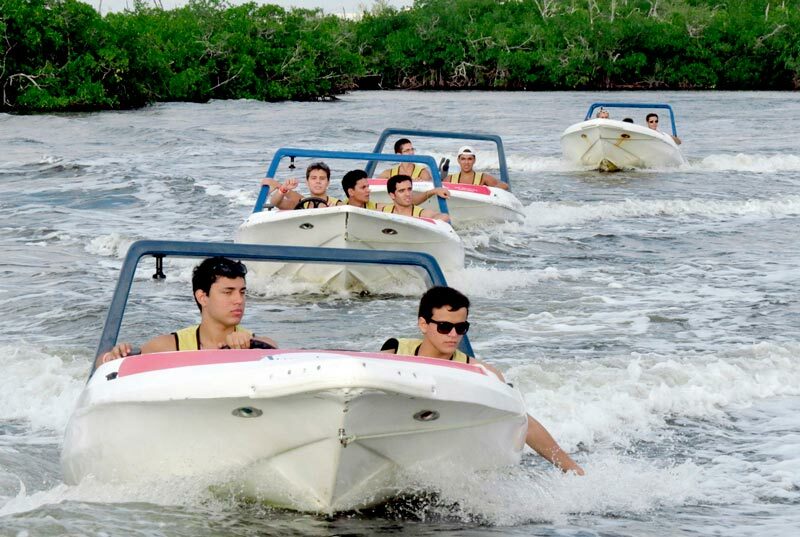 Drive your own speed boat over Cancun's blue sea, mangrove channels and Nichupté lagoon. 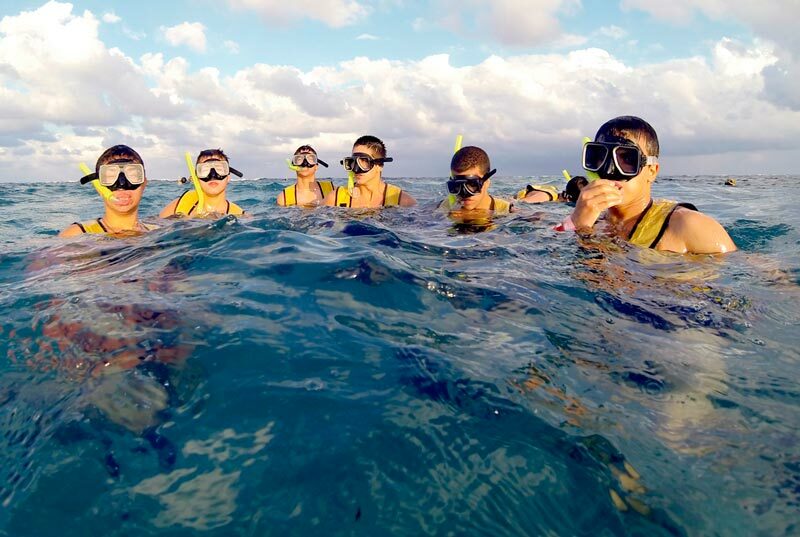 15 miles boat driving on a guided tour to Punta Nizuc, and once here, enjoy a fun snorkeling for 45 minutes on a beautiful and full of life reef, swimming among plenty of fish and colorful coral. A brifiefing is offered prior the activity, so there's no previous experience needed. Of course all snorkeling gear and english speaking guide is included. Refresh yourself during the tour with bottled water. 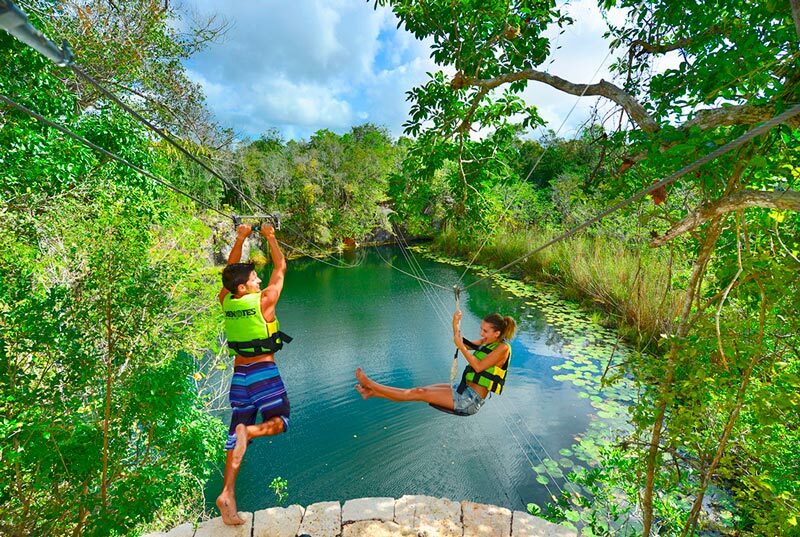 You can't miss this classic and fun attraction in Cancun, book your Jungle Tour now! Safety briefing prior to activity to learn how to drive and simple sign language to comunicate with the guide and the rest of the group. 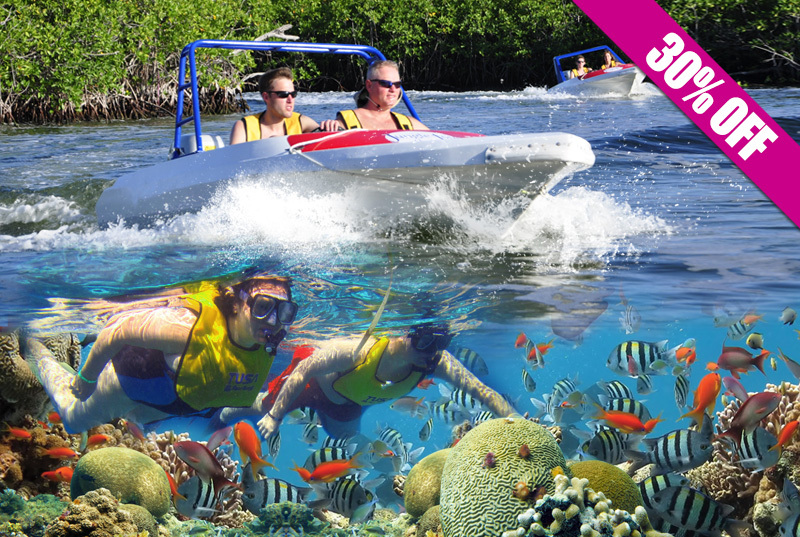 2 passenger speed boat (price per person) . 15 miles boat trip to Punta Nizuc. Full snorkeling gear ( mask, vest, snorkel, fins). 30-45 minutes snorkeling on the reef. Dock fee and Ocean National Park tax are not included ($ 12.00 USD x Person, to be paid at check-in). Ground transport (optional at extra cost). Swimsuit, sunglasses, biodegradable sunscreen, dry clothes, towel and cash. Please plan to arrive 30 minutes before the departure to check-in. Only +18 years old are allowed to drive the boat. Signing of responsive form is required. In case of kids, parents should sign instead. Not recommended for pregnant women and people with back or neck problems. 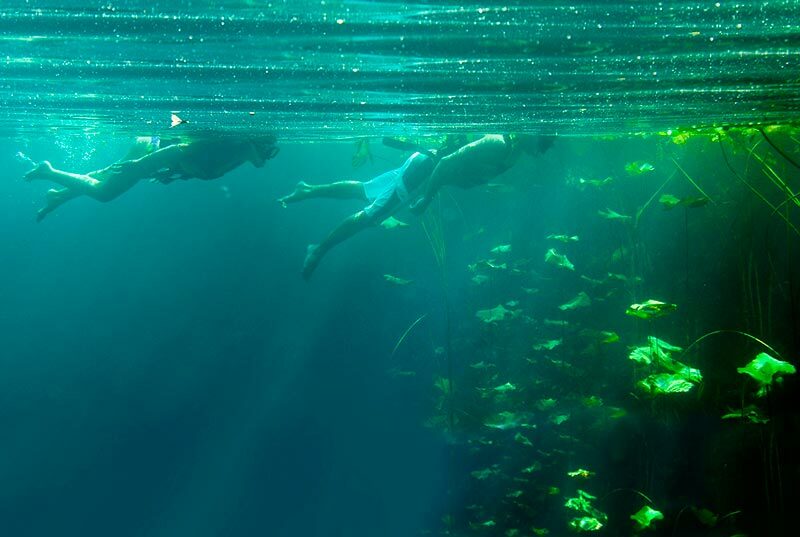 In Xenotes Oasis Maya you will discover 4 different kinds of cenotes (totally closed, opened, partially open). 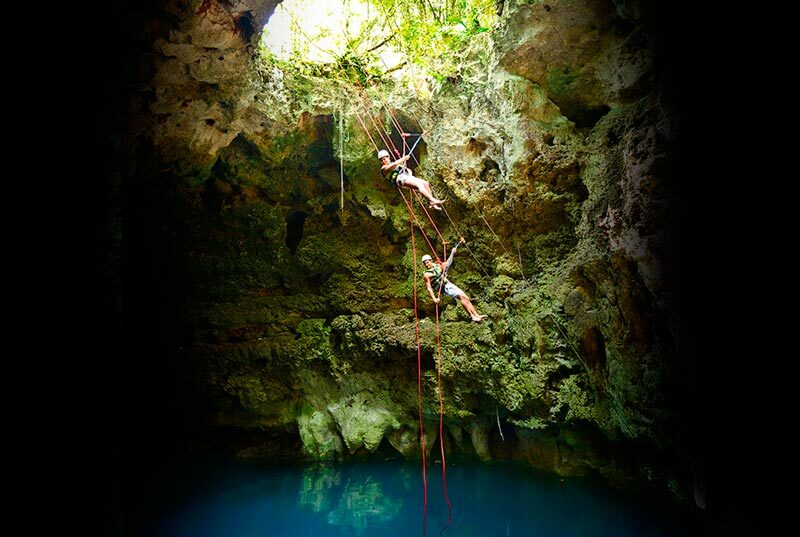 A different activity in every cenote (Kayak, Rappel with aided descent, Snorkel and Zip-lines). Luxury air conditioned roundtrip transportation, Gourmet Lunch and non-alcoholic drinks included. You can't miss this premium tour, book now! Transportation service from the comfort of your hotel with a specialized guide and an operator. Welcome coffee, champurrado and sweet breads. Non-alcoholic beverages (water and soft drinks) and seasonal fruits during route. Hot champurrado, coffee and orange juice at each Xenote exit, except for the one where lunch is served. Glam Picnic: an energizing selection including fussili-vegetable soup, fresh bar with premium quality cheeses and deli meats, accompanied with a variety of rustic breads and dressings to prepare your own food sided with fresh salads. Assortment of water, coffee, wine and beer. Equipment: life jacket, snorkel equipment, rappel gear with aided descent and kayak. Restrooms, dressing rooms and towel. Photos and souvenirs are not included. Comfortable clothes and shoes, sunglasses, biodegradable sunscreen. Swimsuit, dry clothes, towel and cash. Please show on time, with printed voucher. 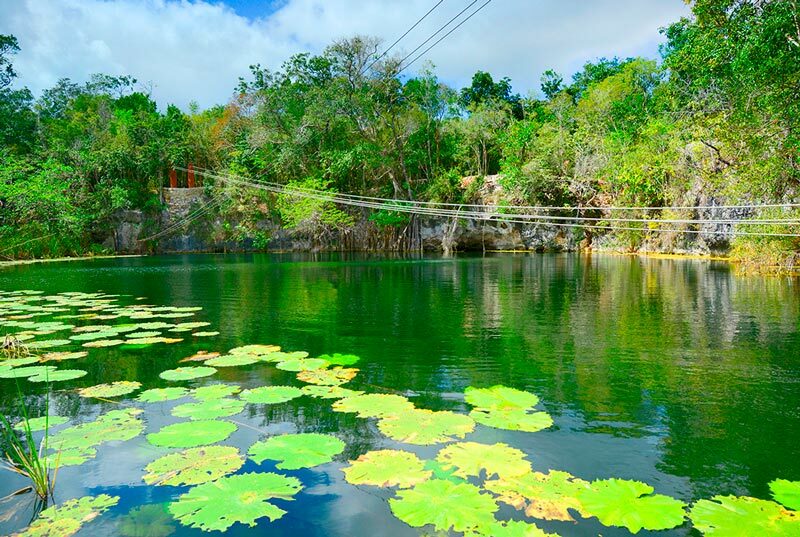 The transportation that will pick you up at your hotel may have the logo of any of the Parks: Xcaret, Xel-Há, Xplor or the Experiencias Xcaret company logo.